Dr. Hanan Abdallah, along with students in the Graphic Arts & Design program, went on a fieldtrip to The Consultant Group Company located in Miami. 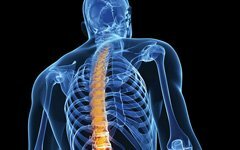 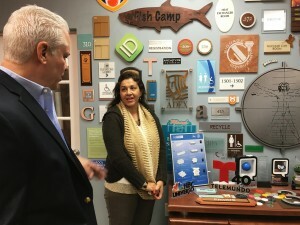 The Consultant Group is full service large digital printing and custom sign making company. 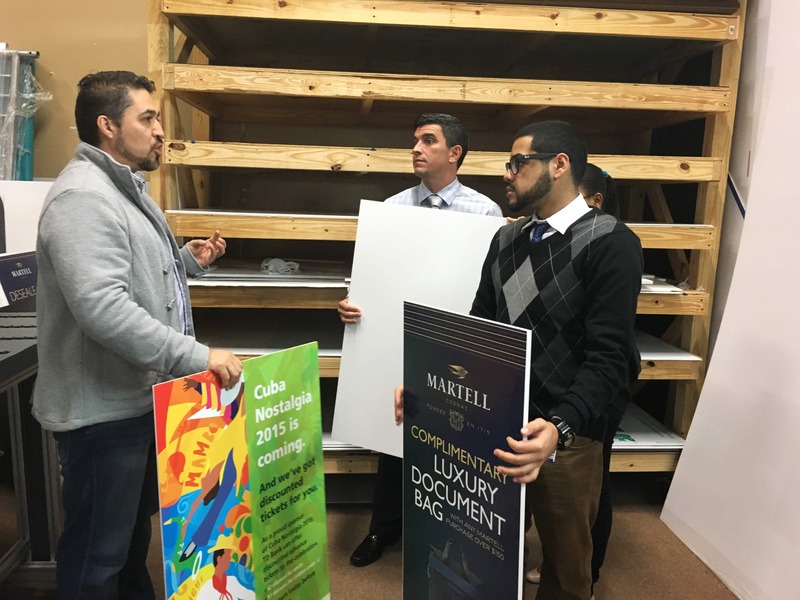 They specialize in digital prints, trade show graphics, banners and event graphics, wide and grand format printing. 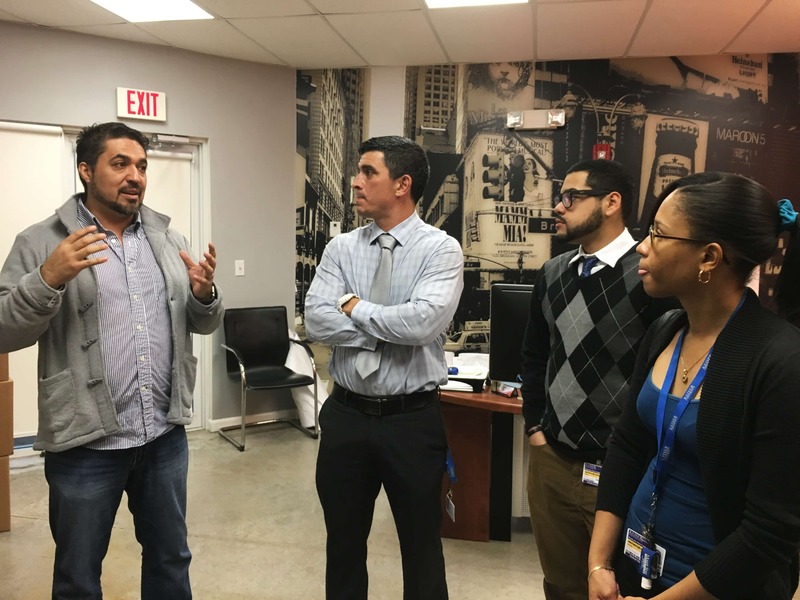 They also specialize in vehicle wraps, photo murals, backdrops, retail displays and magnetic signs, window graphics, Indoor signage, and more. 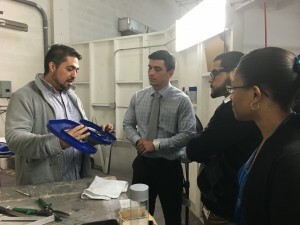 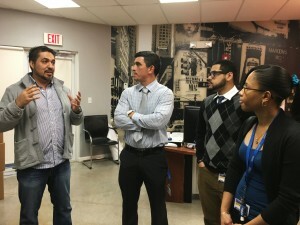 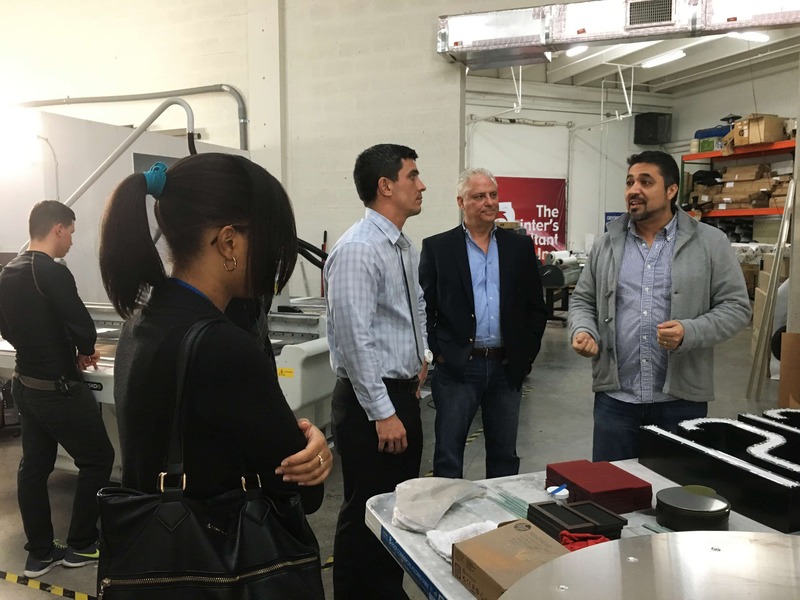 The students had the privilege to meet with the owners of the company, Jose Gell, and Jorge Quadreny, who answered their questions regarding design development, printing techniques, production procedures, costs and materials. 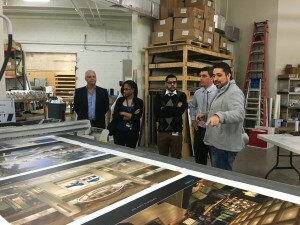 This was a unique opportunity for students since The Consultant Group is full service digital printing and sign making company. 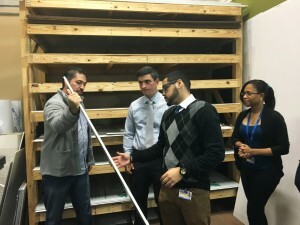 Students learned about the installation of the site signs and Wraps procedure. 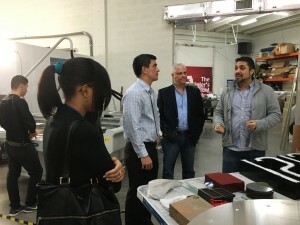 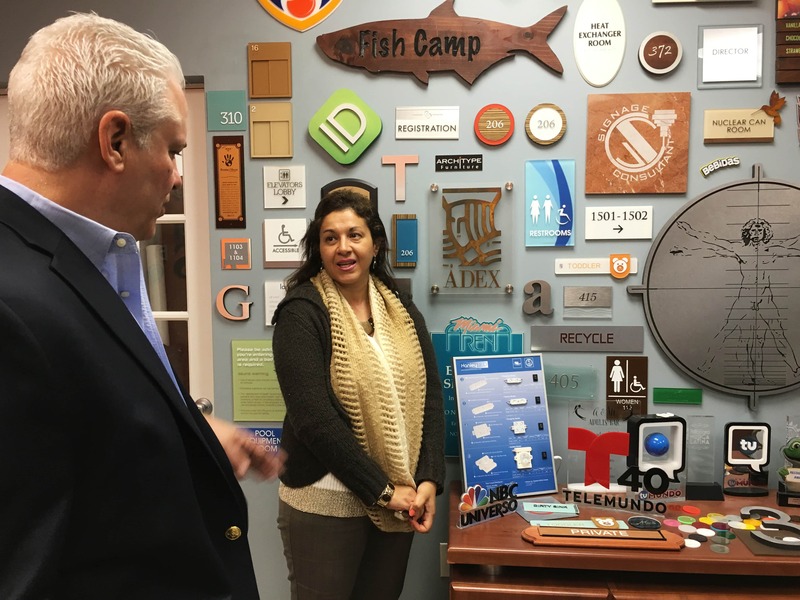 They also learned about the operations that take place in a digital print house such as color management, printing, laser cutting, routing and die cutting.